Hue Parnell, pastor of the Fairview United Methodist Church, is also a professional potter. 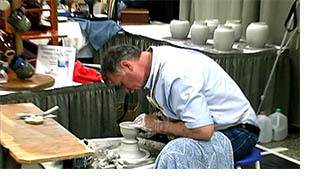 He makes pottery for worship through a nationwide business called â€œFaith Vesselsâ€ that he and his wife, Marla, operate. Marla is a portrait painter and sells her artistry as well. Those attending Annual Conference will have met the Parnells at their display booth. We are grateful to Fred Koenig for providing the video interview and pictures for this MissionCast. We also thank Marla for her pictures and help. 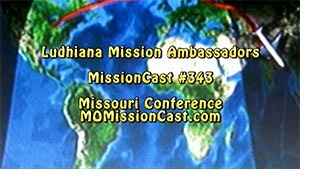 We posted this MissionCast back in January 2009 to let everyone know what MissionCast is all about. We are posting this “Best of MissionCast” once again because we find that many in our congregations still want to know more about MissionCast. So here is episode 100 which tells the story: This week we celebrate 100 consecutive episodes of MissionCast being posted to the Internet. Audrey Phelps, on the Office of Creative Ministries Staff shares the various ways to view MissionCast. It takes two to three minutes a week to learn about how the congregations of the Missouri United Methodist Churches are reaching out in mission. 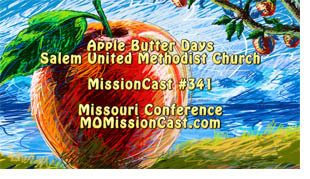 Since MissionCast is a podcast it may be downloaded to your computer, iPhone, Blackbury or other portable communications system automatically each Monday morning when a new episode is posted. Sit back and let Audrey tell you all about it for the next three minutes. By tonight we hope to have a higher resolution posted that was not avaiable when episode 100 was first posted. So come back tomorrow if you wish do download a higher resolution video for projection. During Lent members of St. James United Methodist Church, were asked by their pastor, Dr. Emanuel Cleaver, III, to pay it forward. He gave 40 church members $40 each and asked them to go and make a difference in the life of someone in need. Results were wonderful. 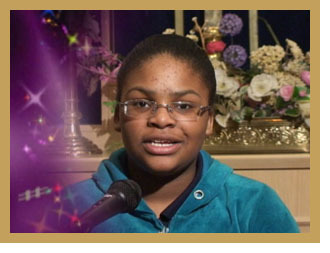 A Pay It Forward booklet shares testimonies from 45 church members. The church also prepared a DVD with two responses. This MissionCast tells about the experience of Paying it Forward. To listen to the DVD prepared by St. James UMC click here.